Victoria Smith is a 34-year-old lead yoga instructor from Los Angeles, California, who has been working with Y.O.G.A. for Youth N.C. since 2013. Victoria is currently serving as one of the Lead Teachers for the Y.O.G.A. for Youth research project being conducted at Phillips Middle School in Chapel Hill. She is also on the Board of Advisors for Y.O.G.A. 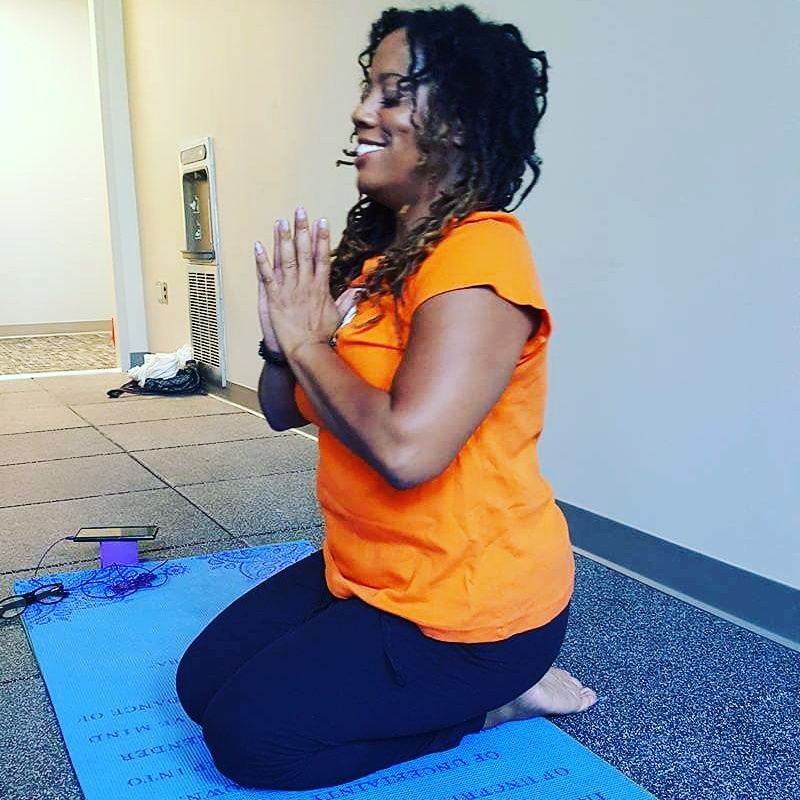 for Youth N.C. She credits yoga with increasing her connection to nature, helping her feel connected to those around her and helping her with self-awareness and confidence.